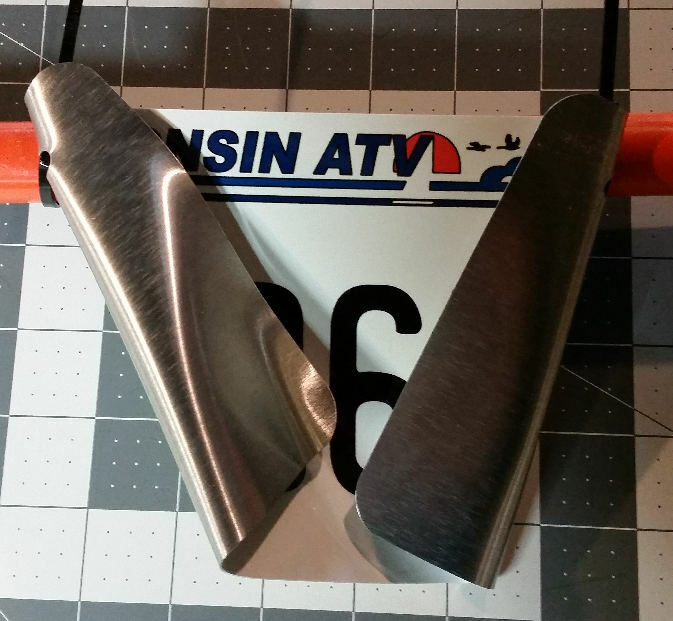 There are many ways to attach your plate to the back of your ATV and because of the many configurations to the back of the ATV's on the market perhaps the most popular is the Zip Tie. Your Zip Ties should be UV stablized. Unless specially treated, most plastics will gradually break down from prolonged exposure to sunlight. This is especially true of transparent plastics, which quickly go yellow. All our zip ties are tough and UV-Stabilized so they will not break down in sunlight. 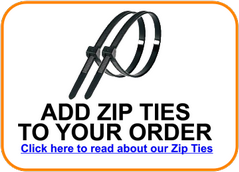 You can now add 2 zip ties to you purchase for only 1.00. 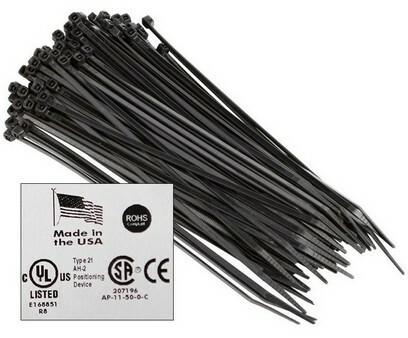 Our high quality American made Zip Ties are constructed of durable 6/6 UV stabilized black nylon and Made in the USA. 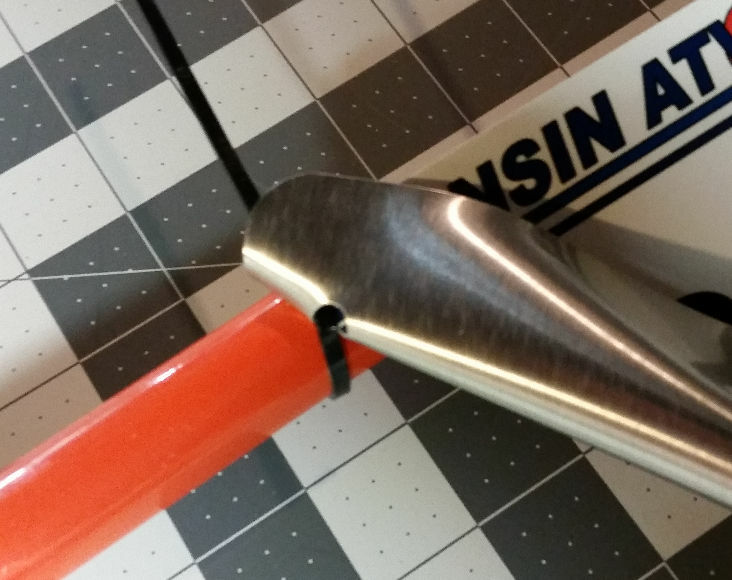 tensile rating 40lb rating (8"cable ties).